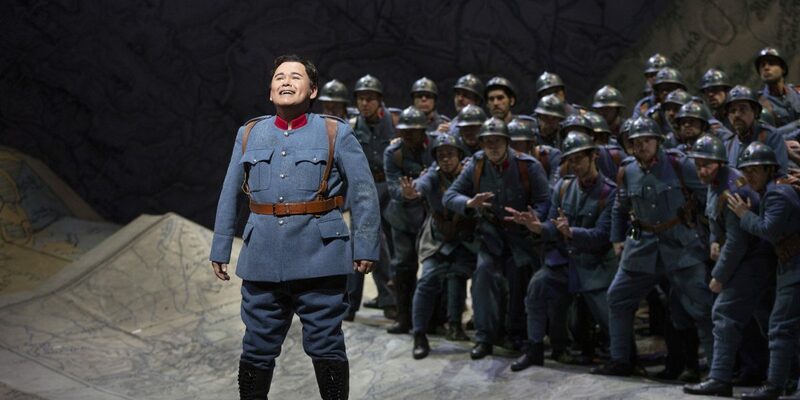 After his acclaimed performance in Les pêcheurs de perles, Javier Camarena returns to The Metropolitan Opera for Donizetti’s La fille du régiment. The Mexican tenor brings his stunning portrayal of Tonio to the New York stage on February 7, performing alongside soprano Pretty Yende as Marie. Enrique Mazzola conducts the production, which also features Stephanie Blythe as the Marquise of Berkenfield, Alessandro Corbelli and Maurizio Muraro alternating the role of Sulpice, and actress Kathleen Turner in her Metropolitan Opera debut as the Duchess of Krakenthorp. La fille du régiment opens on February 7 with additional performance February 11, 15, 18, 23, 26, and March 2. The opening night performance will be broadcast live on the Met Opera Radio and the March 2 performance will be broadcast live in HD.